This is just a quick post. With Tablet photos, to boot. In case you are as delighted as I am with my garden. Every year, I get new surprises. 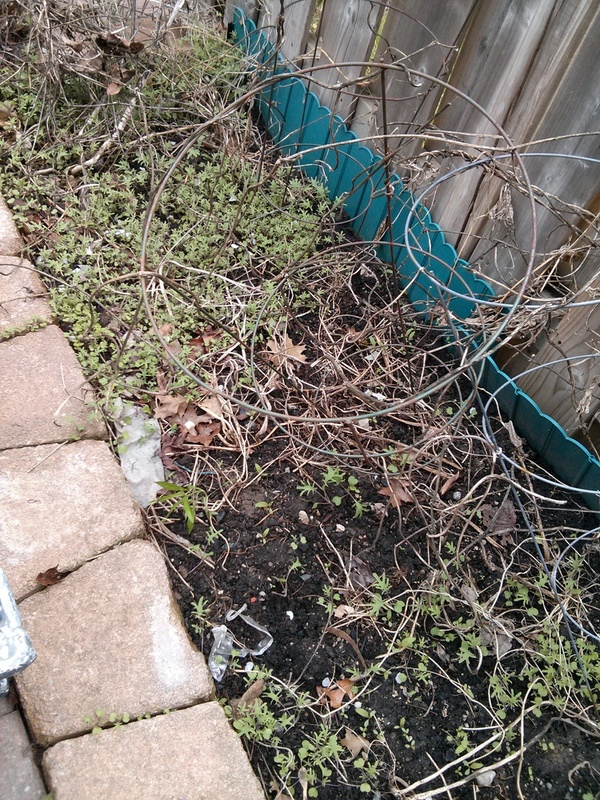 Like when my kale over-wintered, and when it returned the following spring with flowers! Since we’re moving, I decided not to do much gardening. I hoped my kale and collards would over-winter. One collard over-wintered. The rest died. 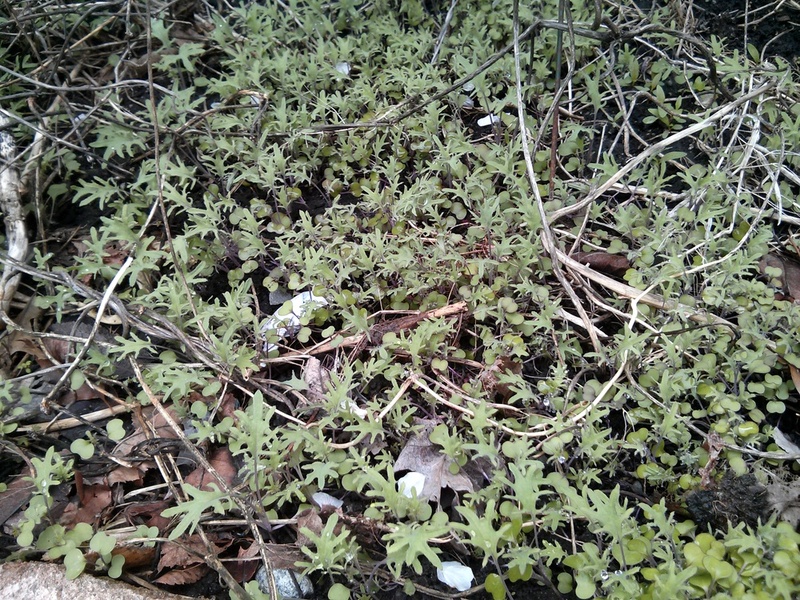 Some of the kale in the front yard over-wintered but the back, where I had more success, the kale died. I ripped out the dead stalks last weekend. A bit of rain and sunshine this week did some miracles for us, though. At first glance, I was irked that I would have to weed an empty garden. Turned out the joke was on me because these were all baby kale plants. My over-wintered kale from last year turned to seed last summer. I let the pods dry on the plants. In the fall, I collected the pods and seeds. Obviously some opened up and naturally self-seeded. A carpet of kale! Aren’t they the cutest? PS, Please stop by The Muffin Myth to see my guest post where I compiled a short list of interesting health-related news. My edition includes links about the reality of juice fasts, the cheapest nutritious foods, sports drink controversy, a 7-minute scientific workout and grocery shopping with Michael Polland and Michael Moss. And then go back in a week to see Katie’s compilation, which are always very good. Thanks again for your guest post, Janet! On my way to check it out!